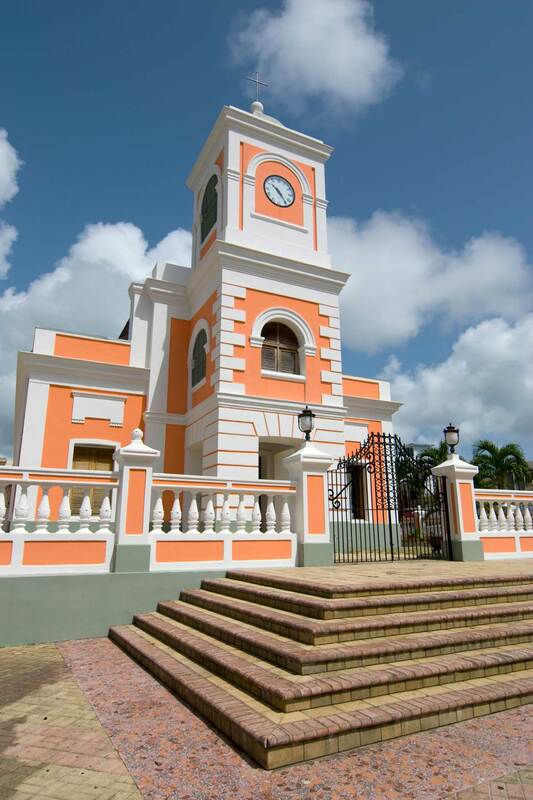 Fajardo is known as "La Metrópolis del Sol Naciente" (the city that guards the sun of the Caribbean). Fajardo was founded in 1772. It was originally named Santiago de Fajardo. Fajardo is one of the most originally beautiful spots on the island's shores. Located in the east region of the island, bordering the Atlantic Ocean, north of Ceiba and east of Luquillo. Fajardo is a major boating center, with a wide range of rentals and charters available, with daily and sport-diving excursions as well as scheduled ferries and air service carrying passengers and cargo to Culebra and Vieques. For information call: (787) 863-0705 or (787) 863-0852. Puerto del Rey Marina, home of 750 ships, is the largest in the Caribbean. Fajardo's perfect beaches are bounded by calm, clear water ideal for snorkeling, Seven Seas Beach, offers plentiful water sports facilities, offshore points for sailing, snorkeling and plenty of scuba diving. Las Cabezas de San Juan in Fajardo is one of the most important natural areas in Puerto Rico. Las Cabezas, which means "headlands," refer to 3 promontories that extend into the Atlantic Ocean. Impressive representation of seven different ecological systems including coral reefs, beaches, lagoons, mangroves and dry forest within its 316 acres/128 hectares. The preserve is home to many endangered species. A 19th century lighthouse (built in 1880), known as "El Faro de las Cabezas de San Juan", beautifully restored by the Conservation Trust, caps on of these. The lighthouse has an information center and observation deck, from which you can have a breathtaking view of El Yunque. Open Fri-Sun. Reservations are required for all visitors. For information call: (787) 722-5882 or (787) 860-2560. Off shore near Fajardo few islets can be found: Icacos, Palominos, Palominitos and Diablo, uninhabited coral islands. Principal manufactures of the area include cigars, furniture, metal and electronic components. There are many well-known "fajardeños", among them: politician Antonio R. Barcelo. Want to know what to see and do in Fajardo? Discover few ideas for exploring and enjoying the city. Every year, Fajardo celebrates a patron saint festival. The festivities include dances, food, parades and religious processions. There are 15 public schools in Fajardo, education is handled by the Puerto Rico Department of Education. Fajardo is also home of 2 colleges and universities.